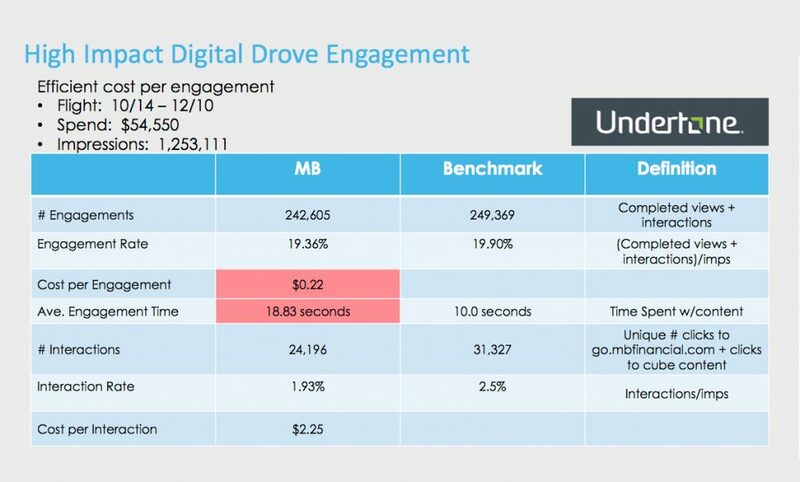 MB Financial wanted to create an ad unit that would provide more engagement for their users. It was decided that we would partner with Undertone to create an interstitial ad unit that would focus on user interactivity. For this project, 3 interstitial concepts were developed. 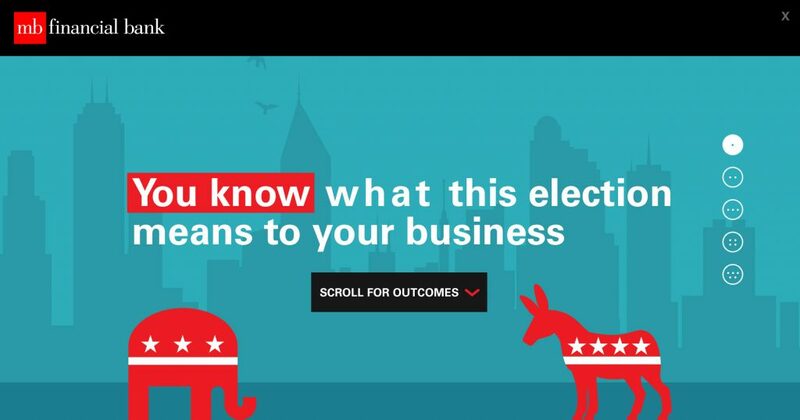 The first interstitial concept was “Election.” The concept revolved around the upcoming 2016 election, and would share facts and statistics related to political candidate polices. This layout would be similar to a scrollable, one page site, utilizing SVG and text animation. Of the 3 options, this option had less interaction, but focused on the use of animation to engage the user. Once the user reached the final frame, they would receive a CTA directing them to the MB Financial website. The second interstitial concept harkened back to “old school” NES arcade games. This concept required the user to select an answer to a question in order to get “hits” against the analyst. This layout would have a full frame intro, before segueing into a boxing ring with the user avatar challenging the analyst avatar. 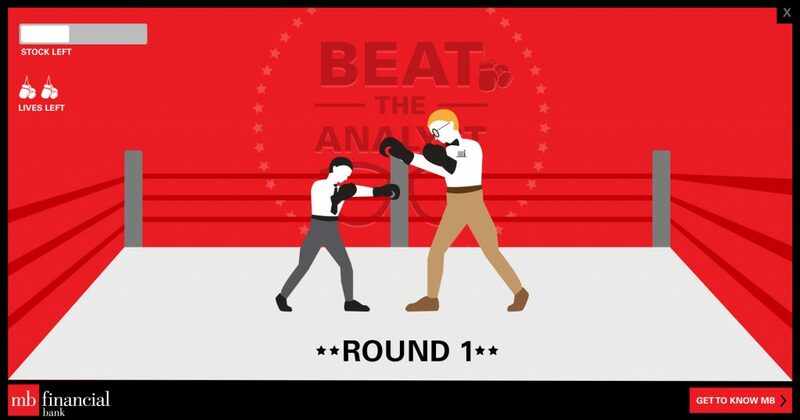 Every time the user answered a question correctly, they would get closer to “knocking out” the analyst. Once a knockout was received, a CTA would appear directing the user to the MB Financial website. 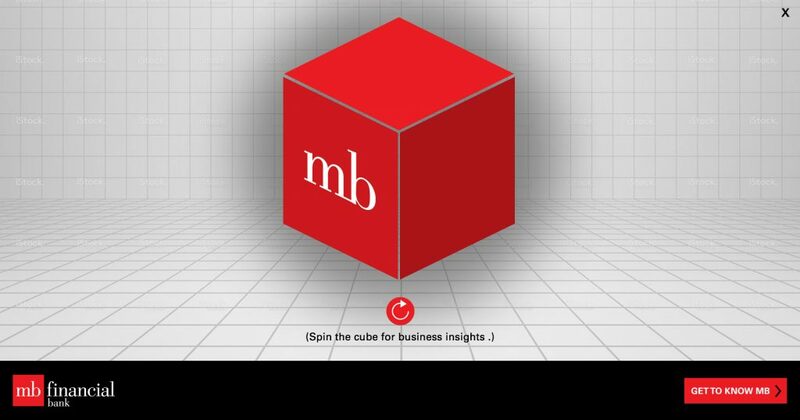 The final interstitial concept, “Cube,” juxtaposed the MB Financial brand against a more digital/matrix like environment. In this concept, the user would engage with an MB cube similar to a magic 8-ball. 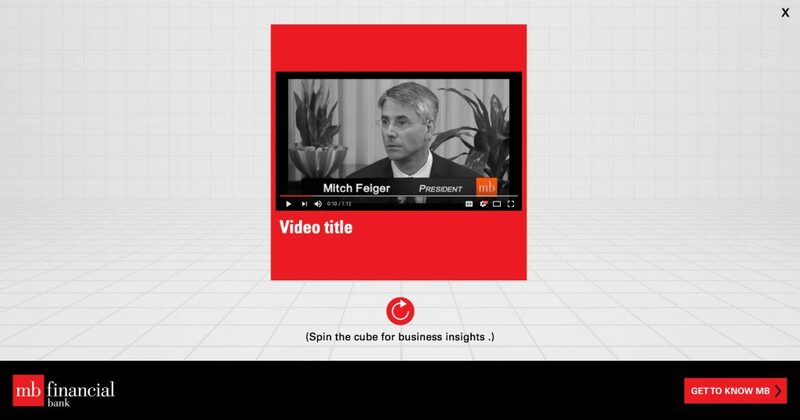 When the cube was shaken, it would flatten to reveal a key fact or statistic from a piece of MB Financial generated content. 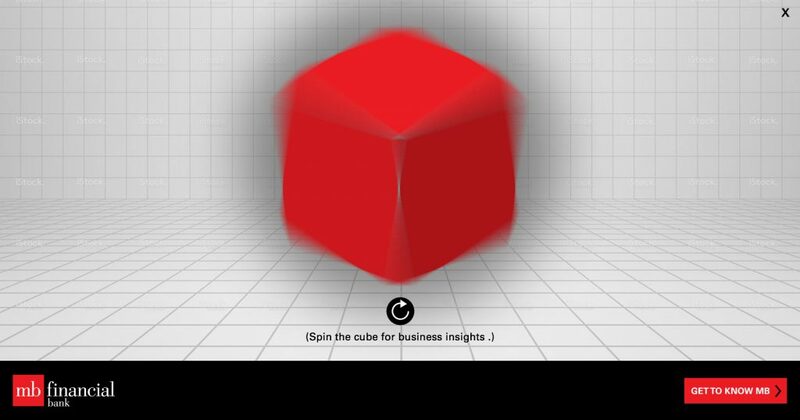 Every time the user would shake the MB cube, a new piece of content would be displayed. The initial idea would involve not just static content, but also video content. 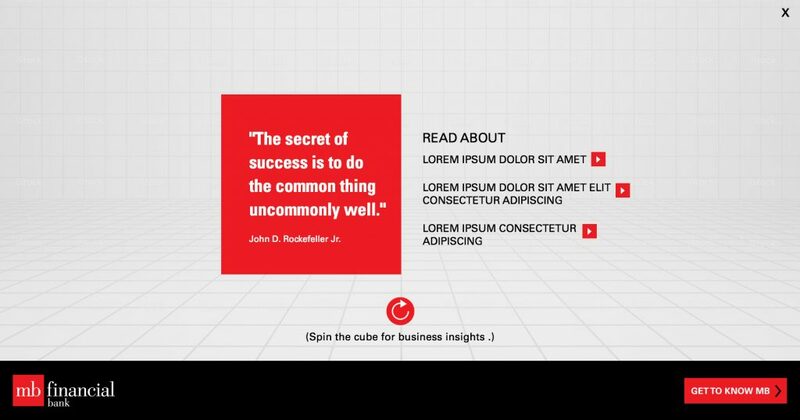 The client ended up deciding on the “Cube” interstitial concept with a few tweaks. First, CTAs would be added to each example driving the user to read the full content on the MB Financial website. Second, all content would be static, as the client did not feel they had enough diverse content (i.e. 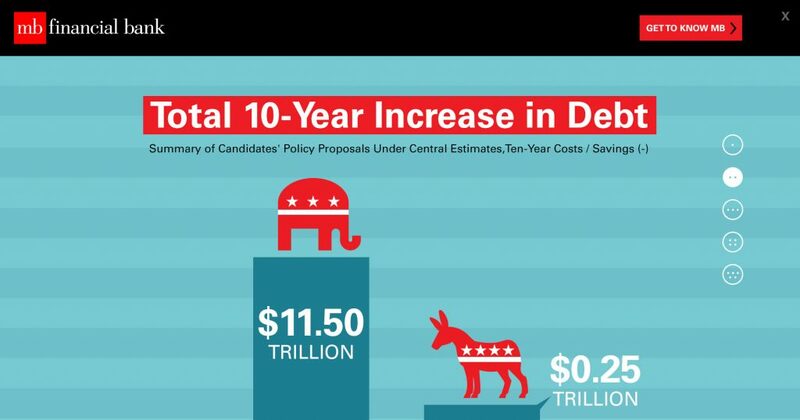 video, infographic, etc.) to truly make the experience dynamic. 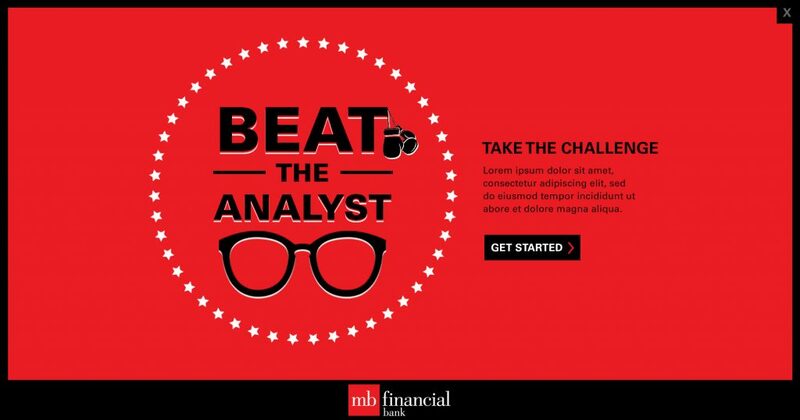 Overall, the interstitial ad performed very well for MB Financial. 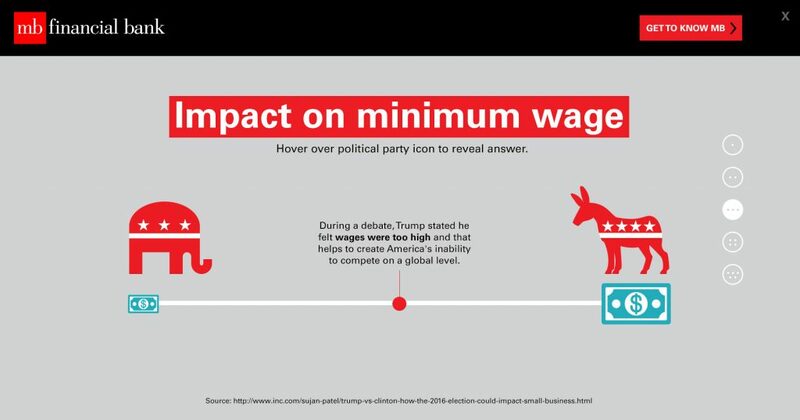 The below reflects the unit’s results. You can also view the ad unit in action here.